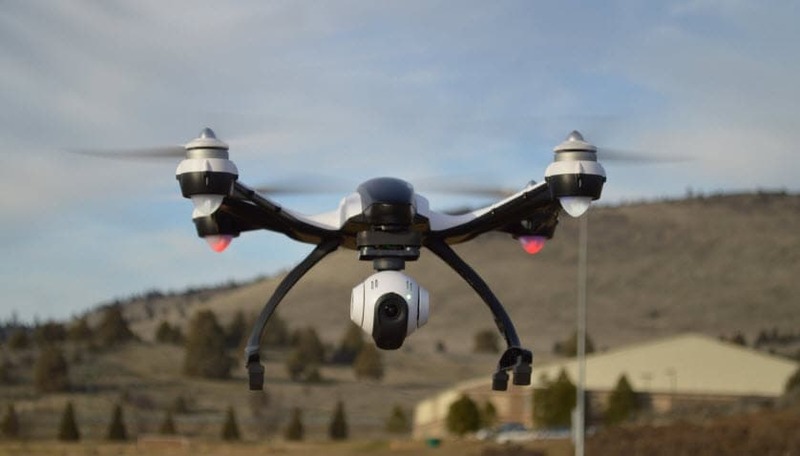 Yuneec Typhoon Q500 is a well designed and well priced drone with 4K recording capabilities. You will be glad to know that its camera is removable with simple tools and can be used separately with additional grip. This device is suitable for professional needs with all impressive features that can produce classic footage from air. Typhoon Q500 offers 4K video recording ability. The footage is developed with much smoother and stable results. The additional handgrip makes photos as well as videos much stable. It is all in one type controller that offers impressive camera controls with first person view type screen. Package includes 2 batteries, set of propellers and additional storage housing. 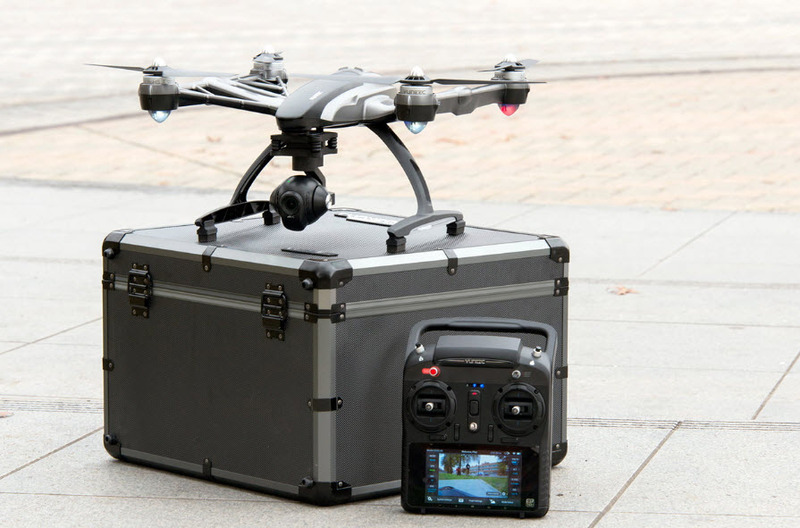 It can be controlled by connecting Yuneec’s wizard ultracompact remote control. It takes too much time for charging. Designed with a big size that doesn’t suits for travelling needs. You will not find any support for the advanced waypoint navigation. 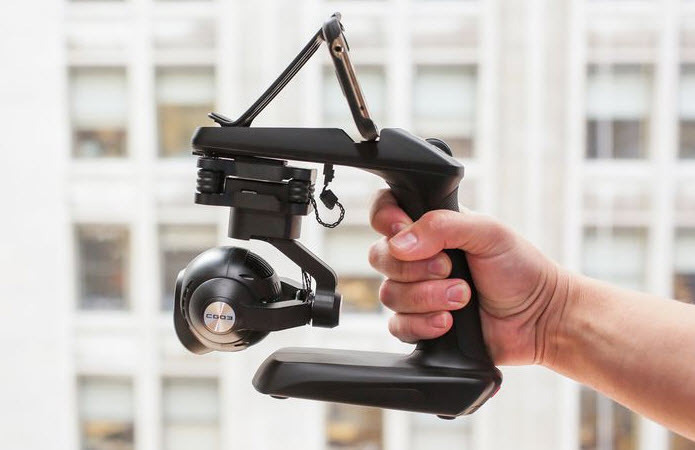 Yuneec has launched this camera unit with so many advanced features that make it highly suitable for professional aerial photography or videography needs. It is one of the easy to operate and fast to adjust drone unit with little higher price range. Users can capture impressive footage with this camera whether you begin with ground or in air shooting. This device is having big size that makes it difficult to carry on trips. But the design is sturdy with impressive appearance. At the same time, you are going to find one charger, two batteries and two sets of propellers with this package. Few other accessories are sunshield, neck strap, ST10+ controller, cable and a steady Grip mount. The design is almost good but demands little polish to appear attractive. Professionals love to work with its sturdy body and stable design that helps to keep videos shake free during flight hours. This device comes with a 5400 mAh Lithium Polymer type battery that allows maximum flight time of 25 minutes. If you use it with active camera shooting then its flight time gets reduced up to 21 minutes. The Watch me or follow me modes will further reduce the battery power and it will become able to serve in air only for 20 minutes. It takes about five hours to get fully charged and you need to use AC adapter or any standard USB type power source as a charger. Q500 offers impressive flight performance with intuitive controls. It can complete all other models with its classic flight experience. Whether you switch to normal mode or work with smart modes, the performance will be equally good with their specific features. It is also much easier to operate this device with joystick that can easily adjust the angles for flights. Beginners will find these controls much intuitive and it can help them to learn the advanced drone performance abilities with ease. You can generate left, rite, up or down movements with joystick and the drone behaves accordingly without causing any delay in response time. It is observed that Q500 can travel up to 17 miles in an hour when it is operated in Angle mode whereas 22 miles coverage is observed with Watch Me or Follow Me mode. The transmitter as well as personal ground station of this system, both are combined together to form a single device that supports 10 channel functioning at 2.4GHz. Controller helps to make easy adjustments for flight modes and decisions about adventurous activities in air can be done easily. Roughly the control range is reported up to 800 meters. The dynamic return to home buttons offers fast response from drone to get back to its original position and it is very helpful if your device is running out of battery and it is required to make a safe landing as soon as possible. 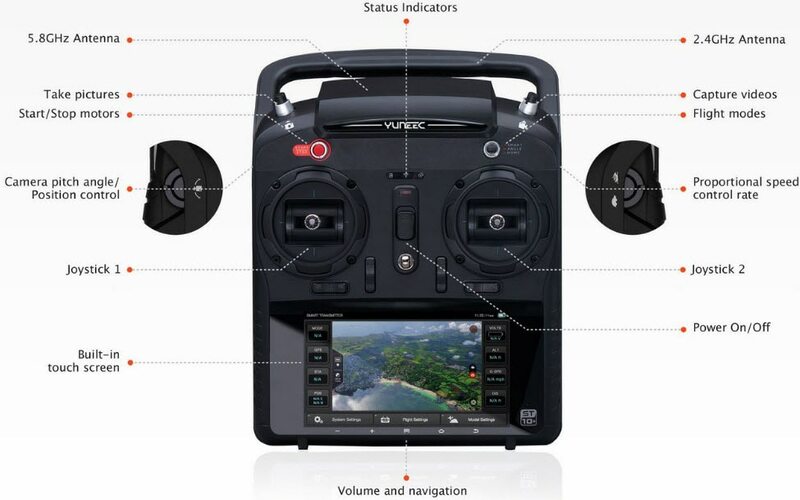 If you are able to understand the surroundings perfectly and learn all the control functions then it will become much easier to avoid crashes on the way and your device will surely work for years with great flight performances. As already discussed, it supports 4k recording abilities so users can expect breathtaking shoots in air. The camera is designed to offer 115 degree Field of View where 30 fps frame rate is supported for both 4K and 1080p resolution modes. Users can enjoy automatic settings at initial stage and once they are able to learn all advanced controls then it becomes much easier to shift towards classic flights with smart modes. You will be glad to know that this drone also has settings for slow motion videos with 1080p resolution and at frame rate of 120fps. It provides great flexibility to professional videographers for their advanced recording needs. After watching all the incredible features as well as few limitations of Q500 drone, it appears to be the winner in many aspects as compared to other drones in market. If you have great budget and want to buy a classic drone with high camera resolution then Yuneec Q500 is recommended for you. It possesses all incredibly responsive control function and smart modes make flying experiences more interesting. You will love to work with its durable and strong body. But you have to spend more to get this device for your routine needs.